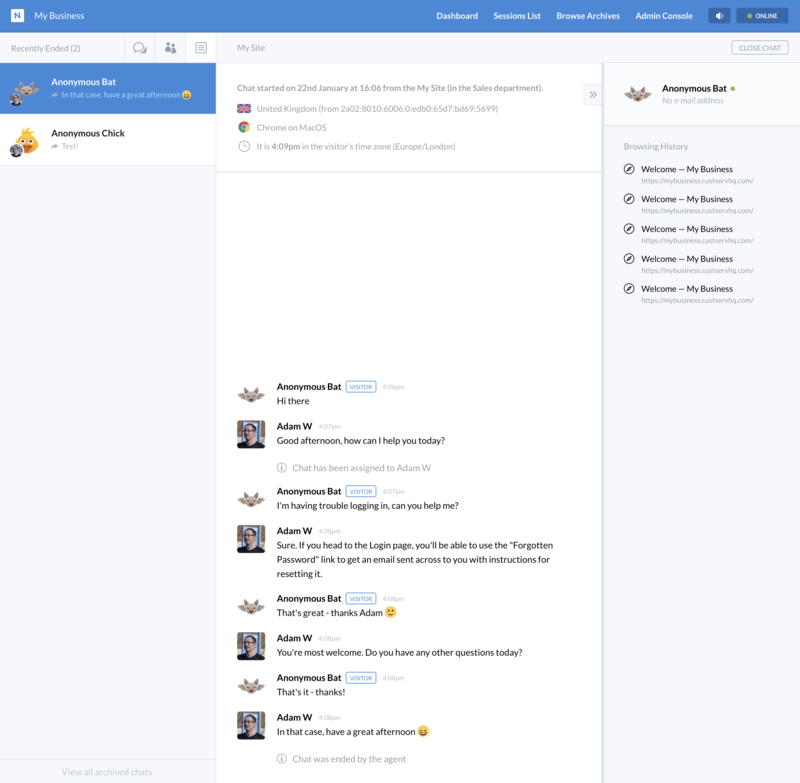 Clicking on each tab will show a list of matching chats, and you can click on a given chat to interact with it, or view its history if it has already ended. 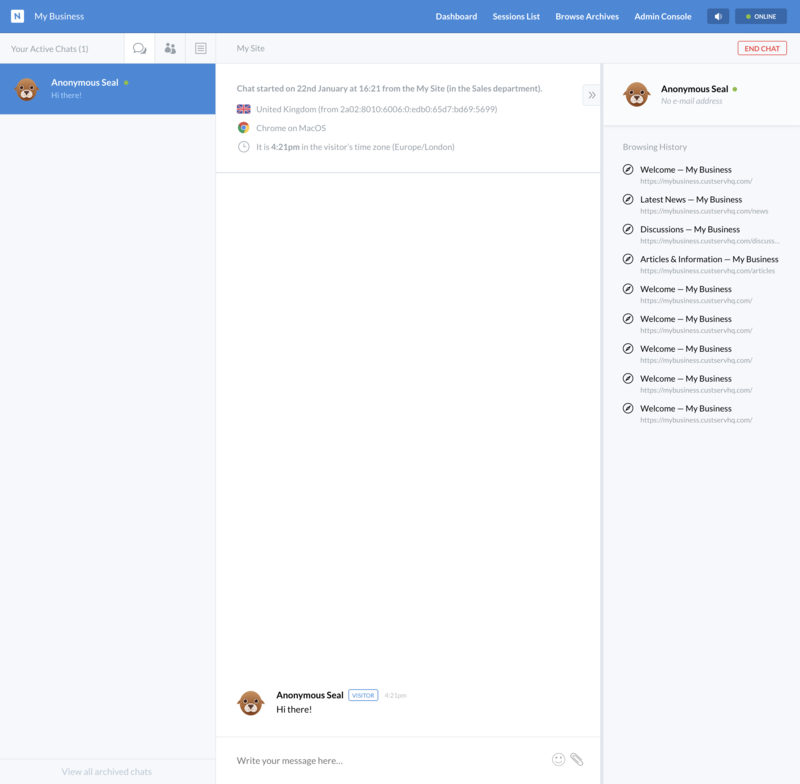 If a new chat is received, you'll be alerted in the agent with a notification, and it will appear in both active chats tabs. As soon as you, or another agent respond to the chat message using the message box at the bottom, it will be accepted and the responding agent will be assigned to the chat. Both agents and the customer will be informed who the chat has been assigned to. As an agent, when your customer is typing a message, you can preview it before they hit send, allowing you to begin typing your response or investigating their issue immediately. 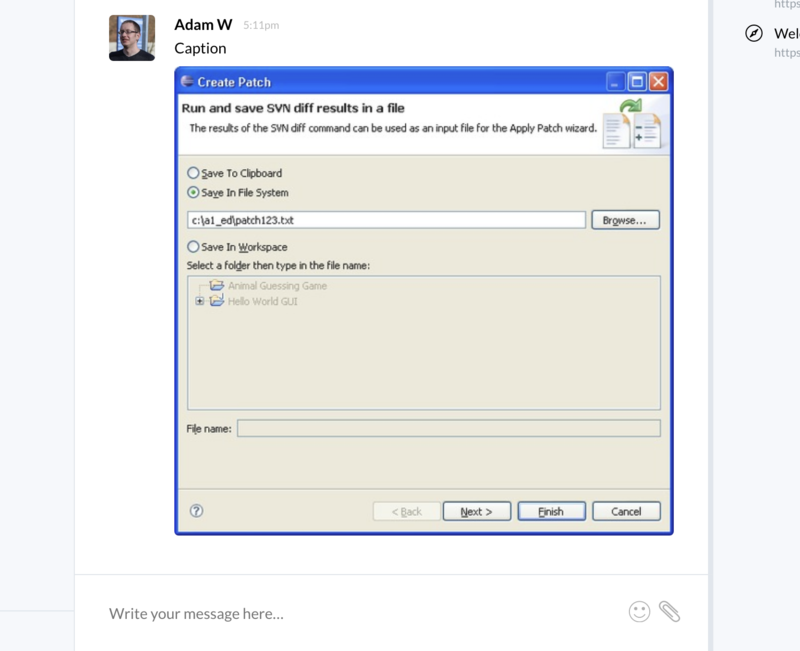 As well as replying to customers, you can also upload attachments, and add enter a response in code snippets. Click the attachment paperclip icon next to the reply box, then click File from your computer to browse for your attachment. If you've attached an image, it will be render inline in the chat window, or any other files will display a link to download it. Clicking the attachment icon, then the Code snippet option will allow you to type some text that will be formatted in a special code block. 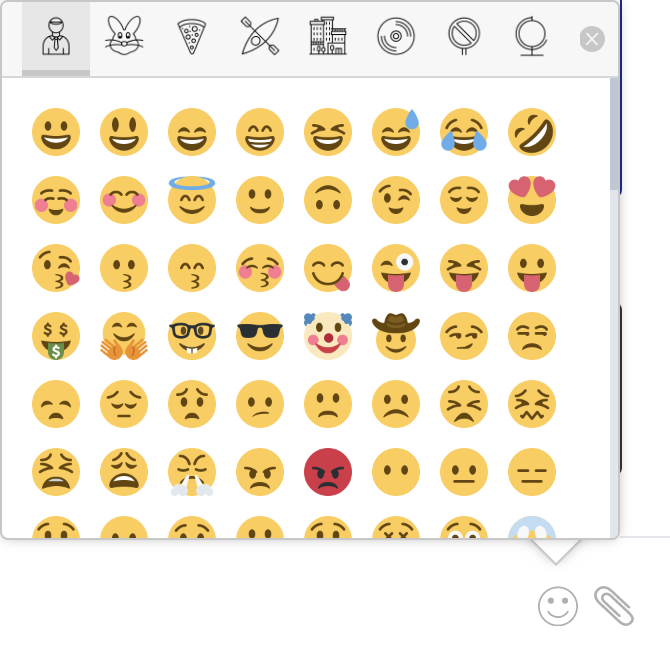 Clicking the emoji icon next to the reply box will display a list of emoji that you can attach to your message. Just click the appropriate emoji, then the textual representation of it will be inserted into your reply. If you know the correct representation, for example :grinning:, you can type it directly into the reply box as well.